In Stillwater? Near Stillwater? Have a car? 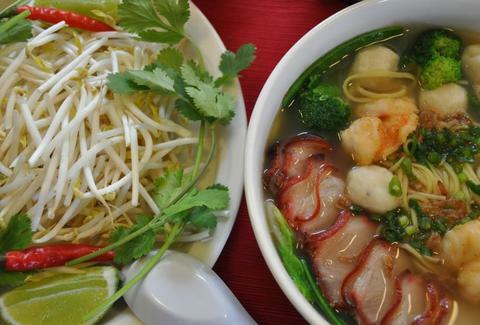 Then hit this Vietnamese-/ Chinese-heavy pan-Asian joint that's running the proverbial gamut with everything from jumbo cracker shrimp, to hot and sour soup, to bubble tea smoothies (coconut, green tea, strawberry, mango, coffee, raspberry) to an egg noodle soup that baby chickens describe as "to die for".